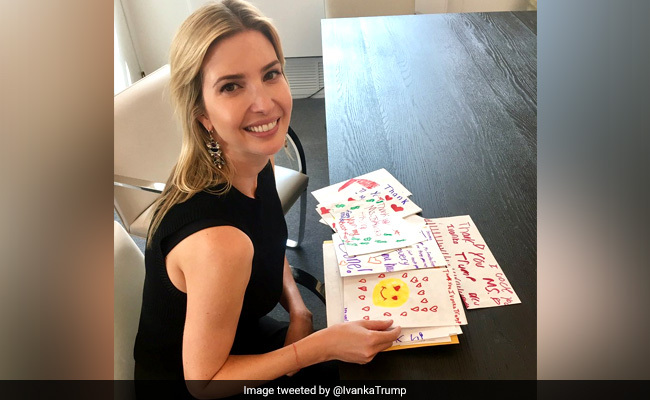 While many on Twitter questioned what exactly she was being thanked for, others accused her of faking the fan mail as all the letters seemed to be addressed to ‘Ms. Ivanka Trump‘ and written using the same marker pens. One sketch, in particular, grabbed many eyeballs as it depicted a smiley face with green dollar signs for eyes. “Dollar Signs for Eyeballs=The Trumping Down of America. First Family used to teach children to value respect compassion over pure greed,” wrote one Twitter user.